A Russian Akula-class nuclear attack submarine sailed undetected in the Gulf of Mexico for weeks, and was only discovered after it left. The Washington Free Beacon has cited unnamed sources in reporting the incident, the second time since 2009 that a Russian submarine has sailed close to the US. The incident occurred at the same time as Russian bombers flew inside restricted US airspace, as Russia flexed its military muscle. 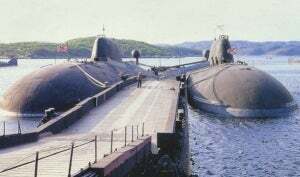 Akula-class submarines, initially developed by the Soviet Union in the 1980s as a direct competitor to the US Navy’s Los Angeles-class submarines, remain the most capable attack submarines in Russia’s fleet. The incident will come as an embarrassment to the US Navy, which is tasked with the detection and tracking of foreign submarines. Undersea sensors and satellites are used to locate and track them, however in this incident the submarine was only detected after it had left US waters. The incident has also highlighted deficiencies in the US anti-submarine warfare capabilities as well as the patrol of littoral waters, an area that has seen substantial investment in recent years. The US Navy’s fleet of Littoral Combat Ships continues to increase, with Freedom and Independence variants currently active in service. Although the number of ships has not been finalised, there is speculation that the US Navy’s fleet of LCS vessels could reach between 56 and 60. Caption: the Akula Class carry up to 12 submarine-launched cruise missiles.